**Drama. Comedy. Thriller. Action. Jesus loves them all. And yes, even horror movies. Why? Because movies mean a lot to us. We quote them on the daily and they influence our lives. So, if Jesus loves us, don’t you think that movies would also mean a lot to Him? Isn’t He supposed to be personal? 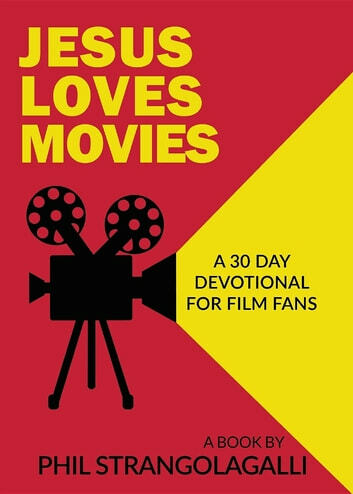 Jesus Loves Movies provides you with thirty films that will draw you into a cinematic experience with the most creative Director. Use this book as a devotional, a guide, or in any way that you desire. May it show you that God is in everything. May it lighten your load and demonstrate to you that He is fun, interesting, and deep. May the pages of this book open your senses to a side of God that the modern day church sometimes struggles to understand. Written during a season of deep pain, grief, and injustice; analyses of thirty films contained in the pages of Jesus Loves Movies will bring you to a secret movie space. A space where the most Holy One will adorn you with His peace, love, and restoration. Incredible read! The best part about it, you can keep going back and it keeps giving you more to apply to your life! It was absolutely incredible! I loved how the author used analysis of film to help me live my life. It helped me realize that God can be seen everywhere even in movies! Incredible read! It helped me use movies to apply basic life principles. It was very practical and relevant read.